" Dan, Please find attached some pictures of an experiment we carried out on some Broccoli seedlings, var. Spring Raab. We sowed 10 seeds in each pot and then watered one pot with our normal tap water (which comes from our hole/well) and the other with water which had been passed through the Imploder. 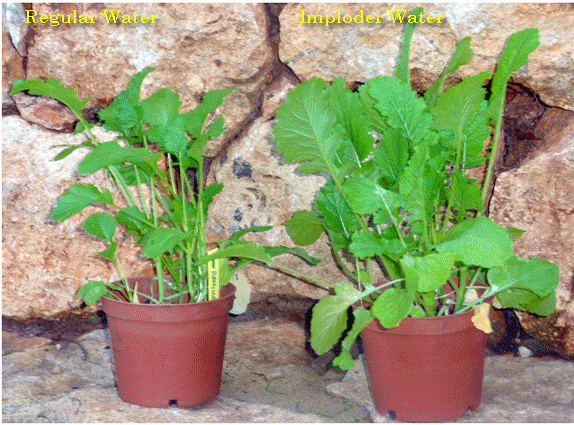 As you can see from the pictures the difference is considerable, showing far more growth and vitality on the pot watered with the Imploder. 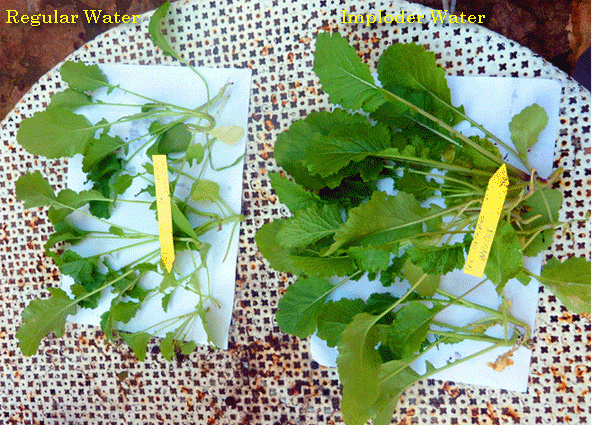 As well as cutting the plants to show more clearly the difference in growth, we weighed both samples. Tap water 25.1g and Imploder 52.2g, so... just over double the weight! "